There wasn’t enough time. There was no real choice either. Fifteen minutes with twenty-plus people, or nothing at all. 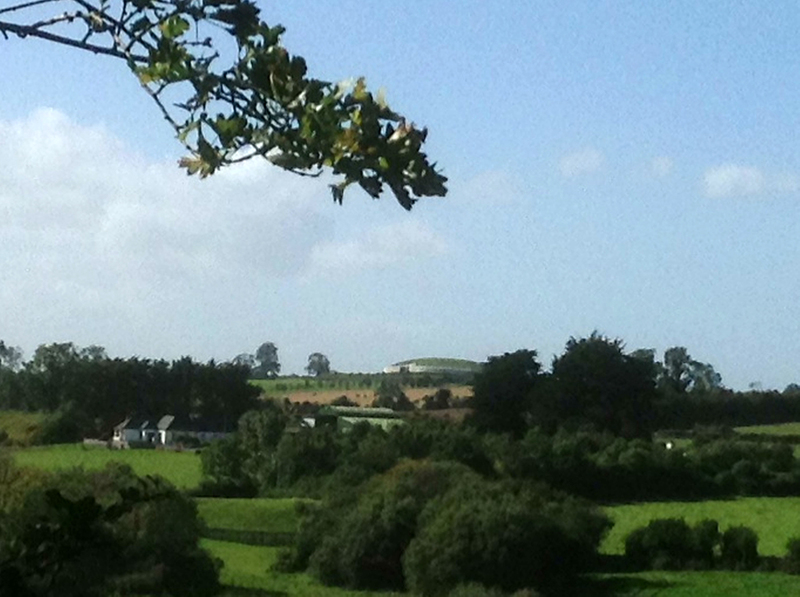 That is the only way you can see Newgrange. It was still amazing. All 5,000 years of history were right on top of me as I stood in that chamber. After it was over, I realized I’d missed the most famous spiral, so quickly had we been herded down the passage. It made me appreciate my experience at Calanais all the more. 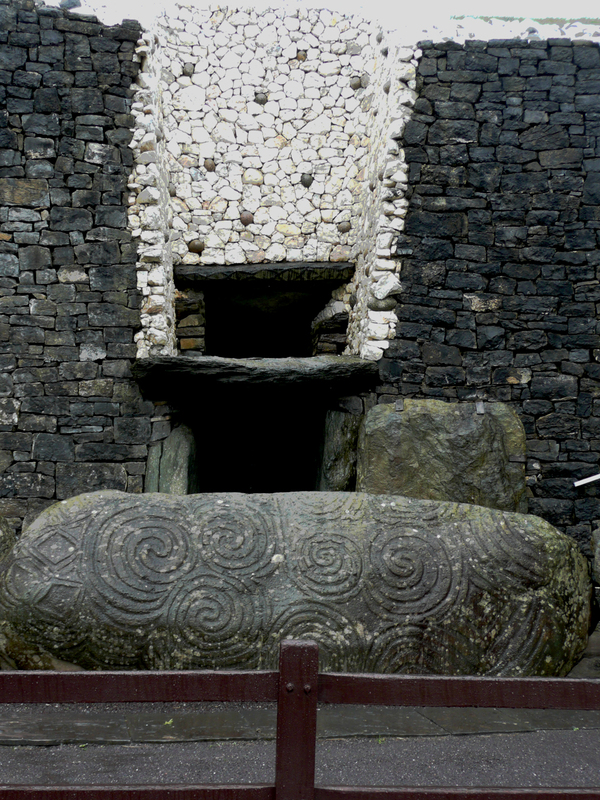 I took a cab from Drogheda to Newgrange Lodge, I had just missed the last bus. I got a mercenary of a cab driver, but he was great other than the naked avarice. He was on two different cell phones and two radios the whole ride, and he gave me a business card and told me to call him when I wanted to go. I smiled and said thanks, I would, but had no intention of doing so. I knew there was a perfectly good bus to be had every afternoon. Newgrange Lodge was beautiful. 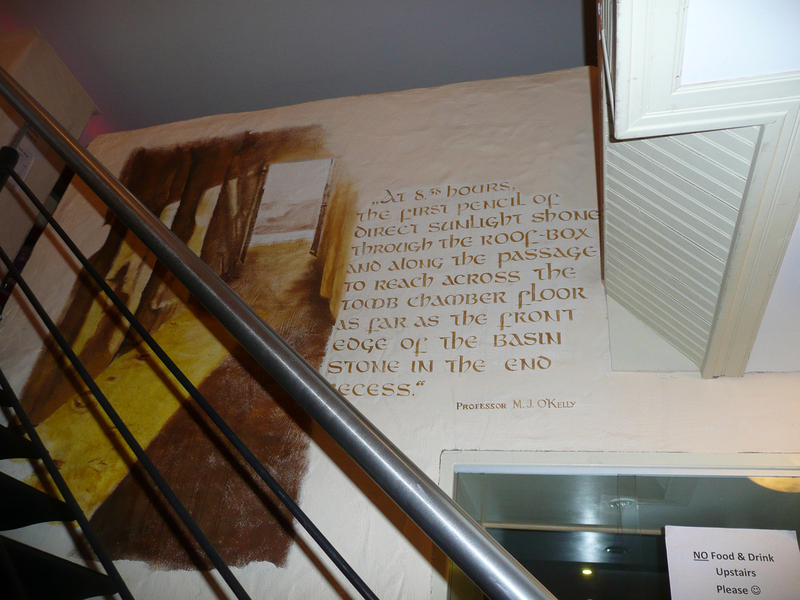 It was a converted stone house and looked nice enough to be a hotel, which I thought it was. I had booked a camping pitch, but when I found out it was really a hostel I decided to give myself a present. It was threatening rain, and for ten Euros more I could have a bed. I ended up with a private ten bedroom dorm with an en suite bathroom for 18 Euros. No laundry, ehh wi fi, and the equivalent of a polite Basil Fawlty for an innkeeper, but quite nice all the same. I went down the road to check out the visitor center at 7 AM, just to find out what to expect. Basil Fawlty was no help, he had never been there, believe it or not. The place was of course locked and silent, but the signboards told me everything I needed to know. A tiny little trail leading off the main path in gave me my first view of the tomb. I never did find out if the stage management at that place is deliberate, but I have to say I was impressed. 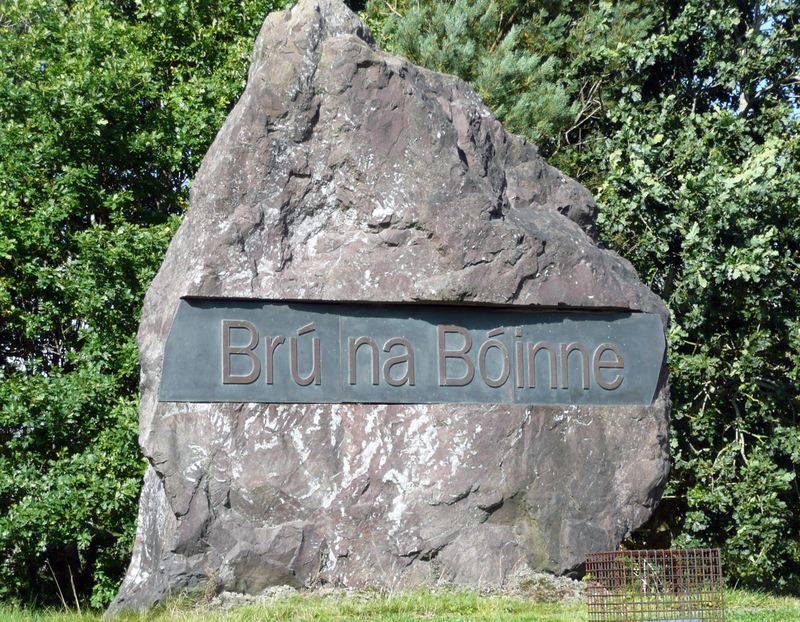 Both Navan Fort and Newgrange have planted a little forest of birch, alder, holly and hazel around their visitor centers and run paths through them. It’s very beautiful and very effective. Ogham trees all, though that probably has little or nothing to do with it. 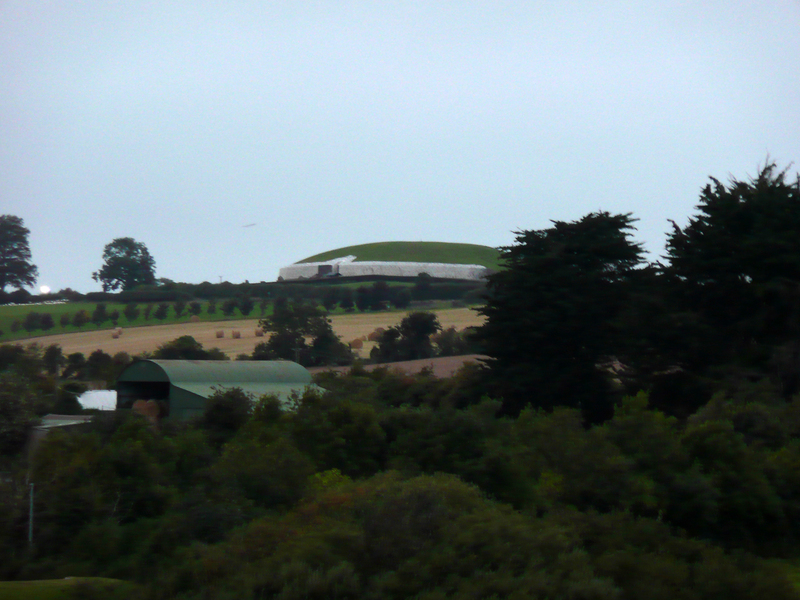 At Newgrange the effect is, if you miss the tiny little trail and the outlook at the end, there’s no way to see the tomb from the visitor center. Unless you go see the 7 minute movie, that is. It explains the whole Solstice alignment and goes into a lot of frankly fabricated ideas of how Neolithic peoples thought that if they didn’t see the shortest day of the year they thought the cold and dark would go on forever. They marked it, surely. But what they thought about it we will never know. After the movie, you exit through a pretty nicely done mockup of the central passage that goes uphill to a viewing platform at the top of the visitor center. That is the only place you can see the tomb from. The effect is, when you do see the tomb it is like the entrance of the diva. It’s really effective and I can’t believe it wasn’t planned. 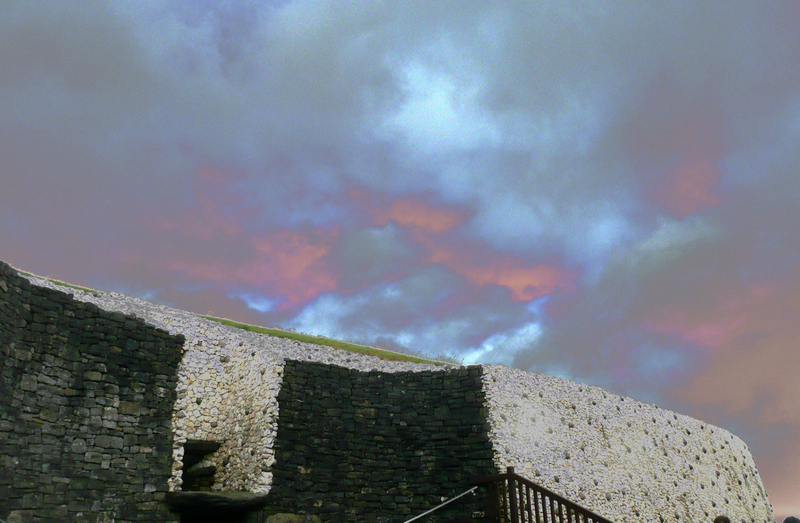 It was raining when we got to Knowth. I was very glad once again of my tincloth. The guide did the whole tour from inside a small chamber built next to one side of the passage inside the mound. 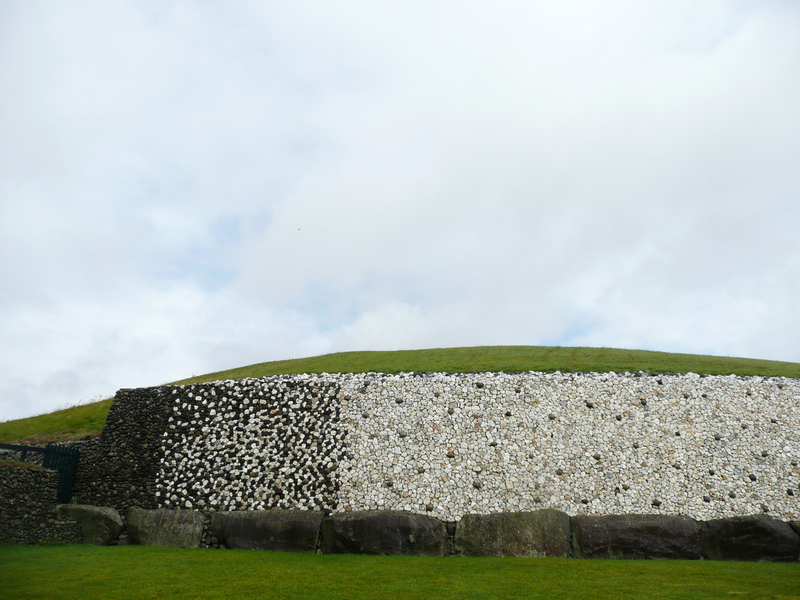 Knowth is even more interesting than Newgrange. I heartily regret not buying the book on it. 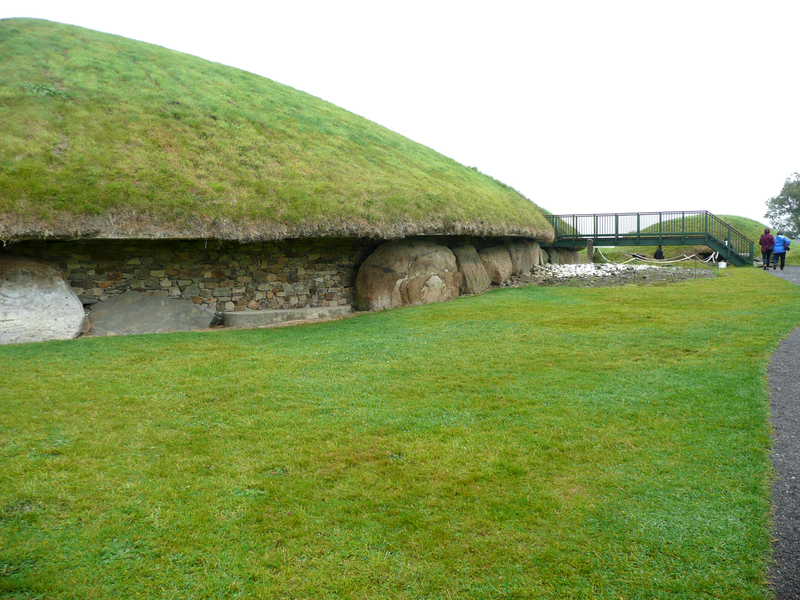 Knowth was built last and is more sophisticated, but it is also more heavily damaged and you can’t go inside. 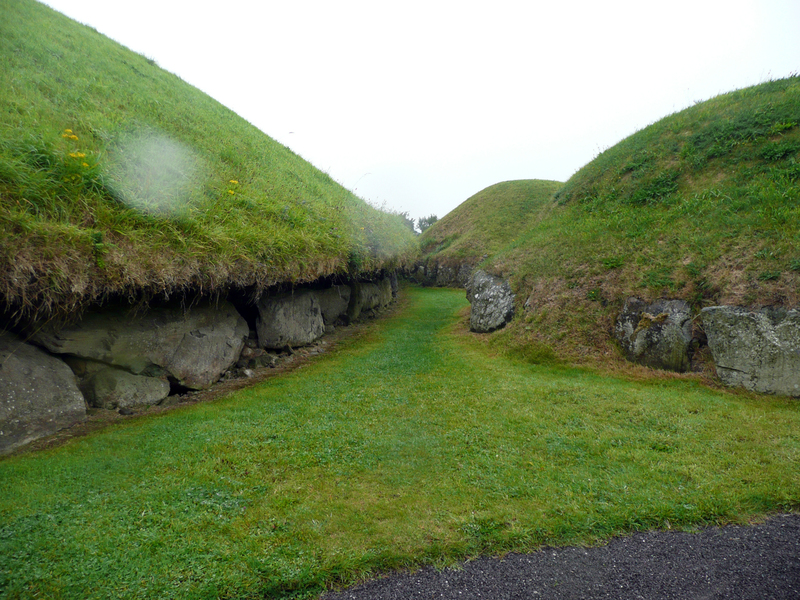 The mound was converted to a ringfort after Christianity arrived and was ditched and had souterrains (passages for storing food and hiding in) built in it during that period, as well as houses built on top of it. We wandered around a little bit after the tour, but it was raining pretty hard. 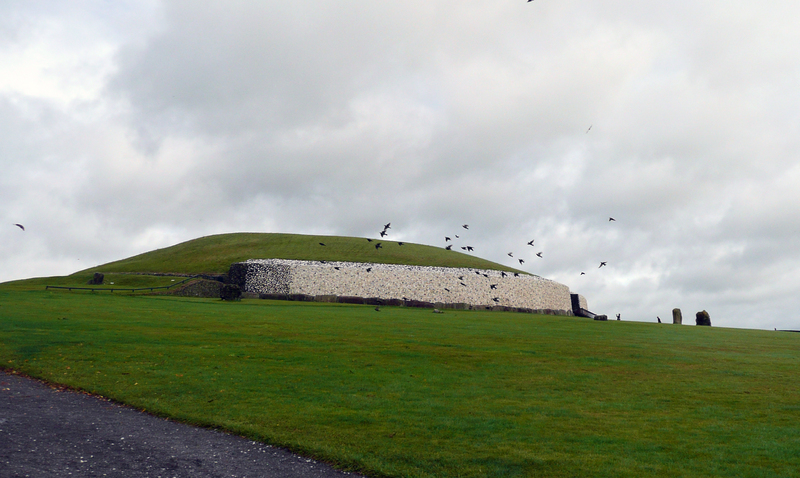 Newgrange was just as wet, but I was in the first group to get inside as I’d arrived so early. The tourguides are really good, they know their material very well. Correctly, once again, like at Calanais, they told us that the people who built the tombs were not Celts or Druids, they were Neolithic peoples. They didn’t tell us why these people built the place, just that they had. It is a mystery for now, and by acknowledging that, we leave room for the answer to come someday. All I know, or need to, is that the span of time is great indeed. We have as humans lived long enough to have forgotten some things totally. And those peoples were wise indeed. 5,000 years and a drystone corbeled roof is still in place and *doesn’t leak! * I can’t keep a twenty year old deck from leaking without constant maintenance! My roof is good for thirty years. These people built a passage that is still sound, covered over with tons of earth and is still stable and focusing a narrow beam of sunlight once a year after five millennia. There are no words. The rain stopped just before we left the tomb. Crows and ravens were everywhere. They were magnificent, but just birds again. I think Scathach was messing with my mind, seeing what shadows she could cast. The afternoon bus didn’t show up. I had to call Paddy, the Mercenary Cabbie. I was in Dublin by early evening. great photos, and very interesting post.